The end of the year also reminds us that we are closer to death. It is a simple fact that we are one year closer to death than we were at the start of 2015. Perhaps we, or one that we love, may not live to see beyond 2016…We should not become morbid or depressed with these thoughts, and it would be unhelpful to fixate too much on this, but it is similarly unhelpful – and unrealistic – to ignore the thought altogether. Instead, let us be prepared to meet Christ whenever He may call us, whether it is in 2016 or several decades away. The end of the year is also a time to be thankful. For many, especially in Ireland, 2014 has been a tough year. But no matter how hard it has been, there are always things to be thankful for. There may have been many dangers from which we have been spared that we are not even aware of. Let us give thanks to God for all of His blessings, both those we remember and those we will only see when we die. The last day of the year is also a good day on which to obtain a plenary indulgence. The Church grants this indulgence, under the usual conditions, to all those who publicly sing the Te Deum on this last day of the year. Finally, here is a worthwhile meditation for New Year’s Eve by Bishop Richard Challoner of London who died in 1781, and whose cause for beatification is an extremely worthy one. 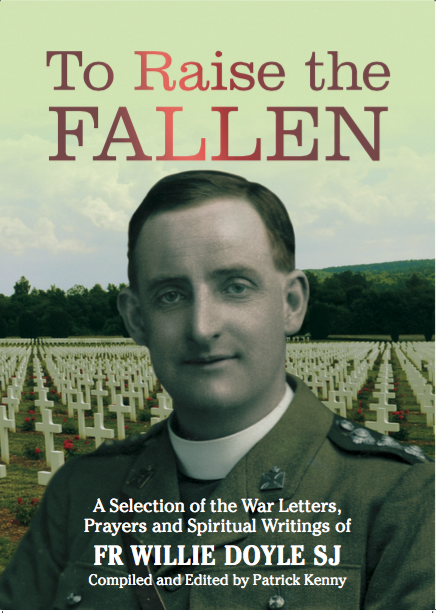 As a child, Fr Doyle used to read Challoner’s meditations to his father, and perhaps this is one of the ones that he read and meditated on himself. Every little victory in the matter of food is a real triumph, for this is a real test of generosity. You will find many persons given to prayer, works of zeal, penance, but most seem to fly from denial of their appetite…St Francis de Sales used to say “Unless you deny your appetite you will never be a saint” – a might saying! All the same, I think it would please our Lord more, at this Christmas season of joy, to relax a little and even indulge the body. It will help you to renew the fight later with more energy. COMMENT: At first glance today’s quote from Fr Doyle may seem a little uncharacteristic. 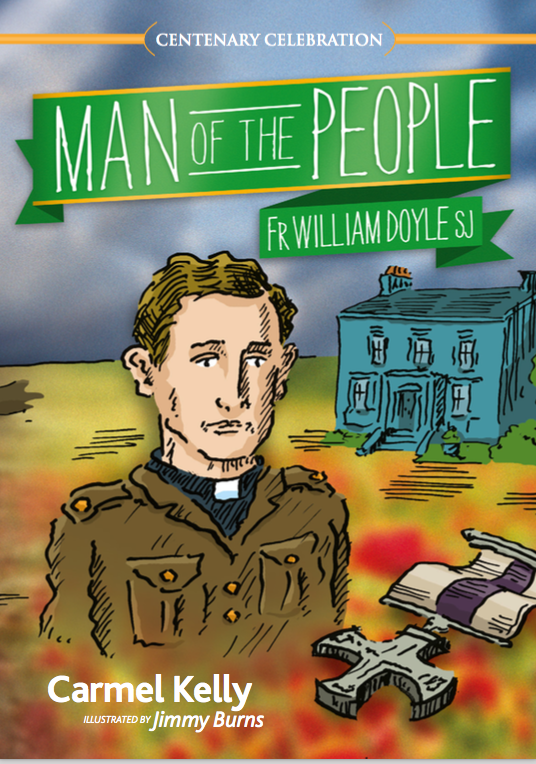 But it isn’t really unusual of him – Fr Doyle was a tough ascetic, but he was also fun-loving, good natured, totally “normal” and well-balanced. And we see that balance here. The immediate context of the above quote was advice to somebody about the necessity for some fasting from food in order to gain holiness. But there is a time for all things, and the “Christmas season of joy” is not the time for that form of asceticism. Christmas is a time to celebrate the Incarnation, a time to relax and recharge our batteries so that we may move forward again with more energy. However, of note here is that the above words were written to somebody who clearly desired penance and lived a temperate life. If we are gluttons all year long, Fr Doyle’s words are not a licence for even more self-indulgence!! And let us not forget that it is still the Christmas season! We are now only on the 6th day of Christmas, only half way there. While the commercial world starts to remove the decorations (if they have not already disappeared), let us continue to live the spirit of Christmas joy, even if there is a little indulgence in it. COMMENT: The cross is always at the centre of the Christian life, in one way or another. It was present in Bethlehem with its poverty and lack of comfort. The very first day after Christmas we celebrate the feast of the first martyr, St Stephen. Two days later we celebrate the feast of the Holy Innocents. Today we celebrate the feast of the great martyr St Thomas Becket. St Thomas is the martyred Archbishop of Canterbury who was killed because he defended the freedom of the Church against the dictates of the State. St Thomas’ example is very relevant for us today. A form of aggressive secularism seeks to squeeze the Church from the public square. Amazingly, there are now some, even in influential positions, who question the right of Christians to comment on matters of public policy. Those who propose Christian values in the public square, even when doing so with meekness and humility, are subjected to intense pressure and scorn and even a very real and palpable hatred, including, in some cases, death threats. And all of this in a culture that prides itself on its so-called “tolerance”. Learn from St. Thomas to fight the good fight even to the shedding of blood, or, to what men find harder, the shedding of their good name by pouring it out to waste on the earth. Don’t behave like someone frightened by an enemy whose only strength is his “aggressive voice”. I have celebrated Mass in some strange places and under extraordinary conditions but somehow I was more than usually impressed this morning. The men had gathered in what was once a small convent. For with all their faults, their devil-may-care recklessness, they love the Mass and regret when they cannot come. It was a poor miserable place, cold and wet, the only light being two small candles. Yet they knelt there and prayed as only our own Irish poor can pray, with a fervour and faith which would touch the heart of any unbeliever. They are as shy as children, and men of few words; but I know they are grateful when one tries to be kind to them and warmly appreciate all that is done for their soul’s interest. American soldiers at Mass in the ruins of Cologne cathedral. 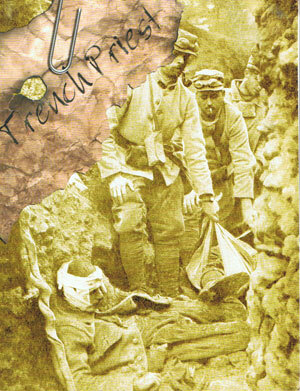 This image calls to mind the scene described above from 28 December 1916. Today is the feast of the Holy Innocents; those innocent children slaughtered as a result of King Herod’s lust for power and hatred of Christ. It is a feast of great relevance for us today, for there are still plenty of those who hate Christ and who persecute those who follow Him. The century just past saw more Christian martyrs than in any other period of history, and even today, in the West, those who follow Christ face a dry martyrdom of scorn and insults and damaged careers. 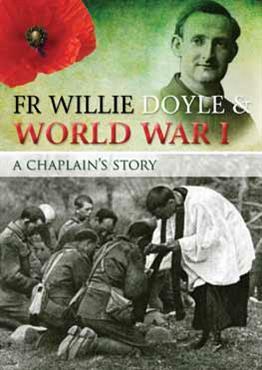 I can find no mention of the Holy Innocents in Fr Doyle’s writings. 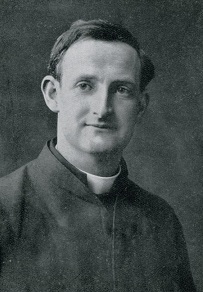 However, today is an appropriate day to reflect on another one of Fr Doyle’s missionary initiatives, his work for the Association of the Holy Childhood. Perhaps we might describe this work slightly differently today. 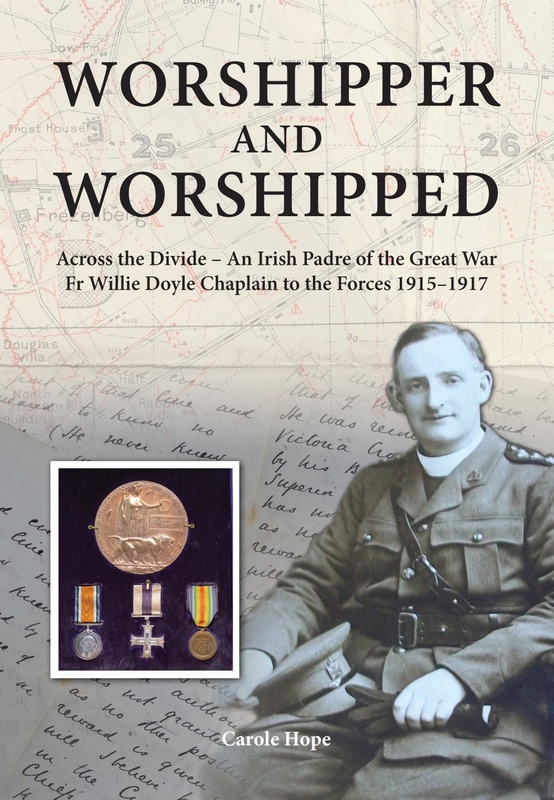 The terms used by Fr Doyle were typical of the time, and we are all to some extent products of the culture in which we live (though it must be remembered that Fr Doyle was considerably less captive to his own culture than many others – for example he was a pioneer in the field of retreats for lay people, a position that was subject to some scorn at that time…). Nonetheless, despite the somewhat anachronistic descriptions, Fr Doyle’s Black Baby Crusade shows us his missionary zeal, practical effectiveness and pastoral creativity. Here is the description from O’Rahilly’s biography. His interest in the foreign missions took a very practical shape, namely, that of helping the Association of the Holy Childhood. This Association, founded in 1843 by Mgr. de Forbin Janson, Bishop of Nancy, has for its object the rescue of children in Africa and Asia, who have been abandoned and left to die by their parents. By its means more than eighteen million little babies have been saved and baptised; most of these neglected mites did not long survive baptism. The members help the work of the Association by their prayers and offerings. Fr. Doyle was able to collect considerable sums by his zealous and ingenious methods. He had attractive cards printed each with a picture of a rescued babe and an invitation to buy a black baby for half-a-crown, the purchaser having the right to select the baptismal name! 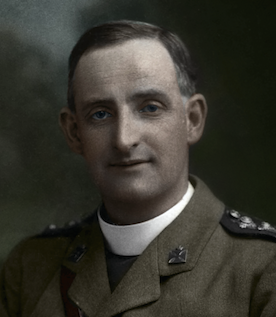 “I do not know,” he wrote from the Front on 31st July, 1916, “if I told you that the Black Baby Crusade, though now partly suspended, proved a great success. I got well over a thousand half-crowns; and as in some places a poor child can be bought for sixpence, there should be a goodly army of woolly black souls now before the throne of God. In addition, two priests, one in Scotland, the other in Australia, have taken up my card-scheme and are working it well. The idea of buying a little godchild from the slavery of the devil and packing it off safe to heaven, appeals to many.” Like every other available method of saving souls, it appealed to Fr. Doyle; and he brought to it his characteristic humour and energy. And you, wives and bread-winners, have you no task within the fold, no little flock to tend and guard? Has not God committed to your care the innocent lambs, the little ones of your household? Within the pasture of your own family are you the good shepherd, or the thief and the hireling? . . . Jesus does not ask from His shepherds now the shedding of their life-blood But He does ask from them a death more hard, more lingering, a life-long death of sacrifice for His flock, . . . the daily crucifying of every evil passion, the stamping out of sloth, of anger, of drunkenness, the constant striving after the holiness of your state of life. . . . Look upon the great Christ, the Good Shepherd, hanging on the Cross. He is our model, our hero. Gaze well upon His bleeding wounds, His mangled limbs, that sad agony-stricken face. Look well, and pray with generous heart that he may make you in word and deed heroes in His service. there will be an examination of these two matters: his teaching and the obedience of his disciples. And let the Abbot be sure that any lack of profit the master of the house may find in the sheep will be laid to the blame of the shepherd. On the other hand, if the shepherd has bestowed all his pastoral diligence on a restless, unruly flock and tried every remedy for their unhealthy behaviour, then he will be acquitted at the Lord’s Judgment. So, as parents, do we follow the Good Shepherd in protecting our flock, or, as Fr Doyle says, are we a mere hireling? Are we content to allow the media to constantly babysit children for us? Are we content to leave their religious education to others? Are we too focused on work or our own ease to spend time with our children? Such a life of dedication to raising children is truly a sacrifice, a daily dying to self. But it is through these sacrifices that we will grow in holiness by fulfilling the duties of our state in life, and it is through such sacrifices that we shall save our culture by forming the next generation.